Oh man. Its Valentines day. Be in a relationship or not, theres a lot of stigma around this holiday. Love it or hate it, with someone or living it up with yourself its an excellent excuse for some self love [not like I need one] I’m totally all about the self love. 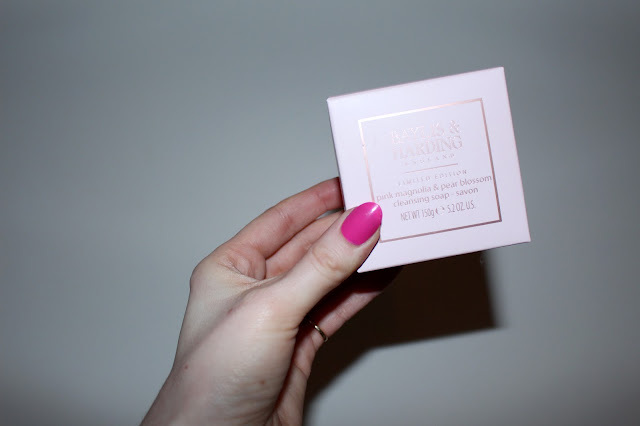 So when the wicked guys at Baylis & Harding asked if they could send me across some of their range for a review, I was all for some little extras to aid the pamper sesh in preparation for the holiday this weekend. I am not a beauty blogger by any stretch of the imagination, and oh Lordy with me it does need to be stretched. But I’m a human that likes to chill and take care of myself every now and then so I know what I like. First up with have the 3 wick candle, oh man do I like candles and this one smells DEVINE, no bubble bath is complete without a nice smelling bad boy near by. 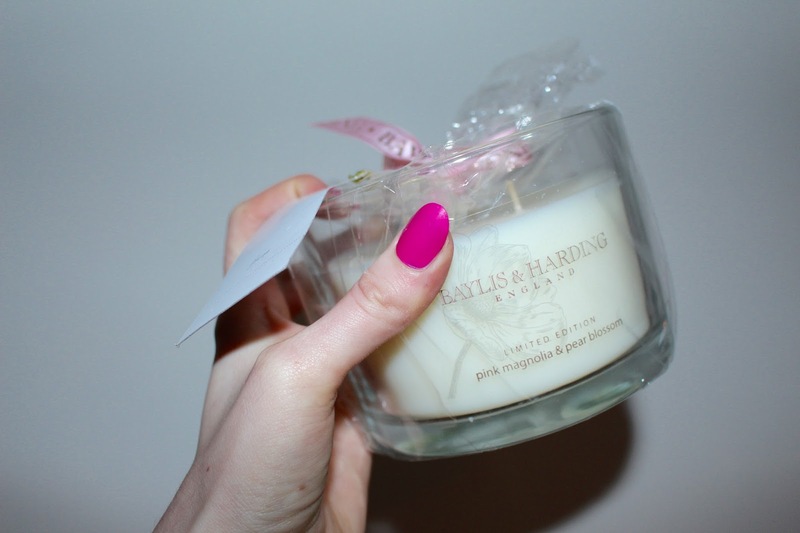 The one I was sent across is a limited edition scent of Pink Magnolia and Pear Blossom - YUM! Along with my candle I also received the cutest gift set, generously filled AND would make a great gift some dat someone special or ya no yourself *Sass Emoji. The gift set contained a balancing body wash that made me feel all silky smooth when used and a luxury shower creme which I doubled up and used as a bubblebath. Included was the cutest little shower puff in the shape of a rose ^_^ so sweet. Question time, what do you guys call shower puffs? James refers to them as ‘’Scubbies" and that kinda makes me think of those dish sponge things you crack out when you forget to soak off the pasta bake sauce on your ceramic dish in the sink over night and its baked on GOOD? Just me? ok.
MOVING ON. . . . I’m like so so bad at the whole moisturising thing. I hardly ever do it. But included in the pack was a lovely hand and body lotion to finish off my whole Pink Magnolia and Pear Blossom scent experience and well I thought it would be rude not to complete the whole experience. What puts me off moisturising is the whole gluopy never really dries in feeling after and I basically just hate it. This is light enough that I don’t feel that way after kudos guys! Lastly is the poshest soap ever and basically that is now the guest soap to make our bathroom look all fancy and to be used only when said guests are at my abode. 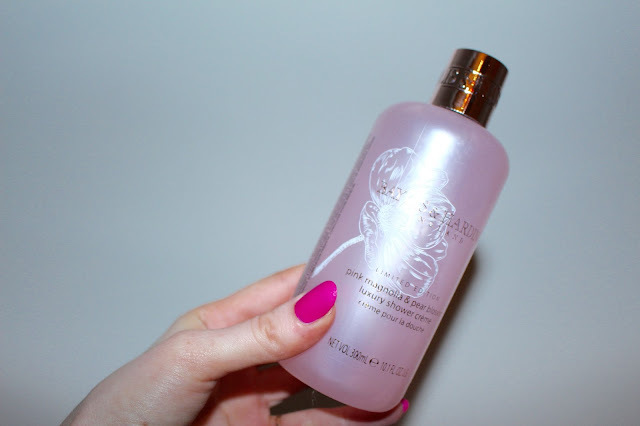 Check out Baylis & Harding for more of their range to try for yourself. I love this company as they have my last name ;) but the packaging is so cute too! Such an amazing brand.